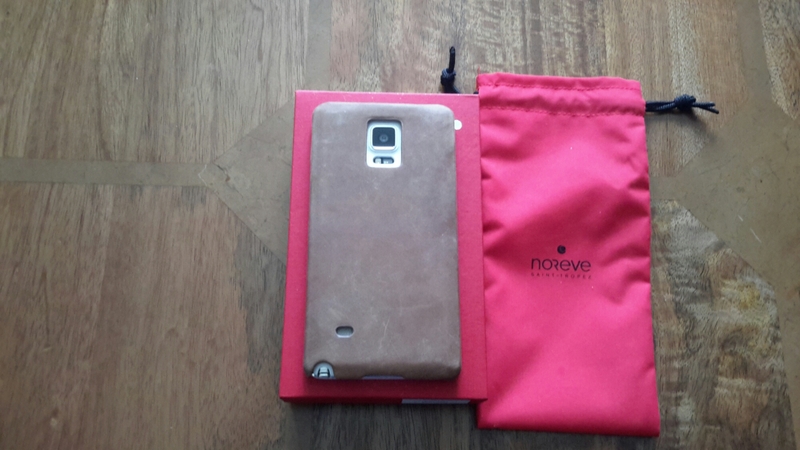 Noreve produce cases for all phones including iPhones and the Samsung Note 4 and Note Edge. 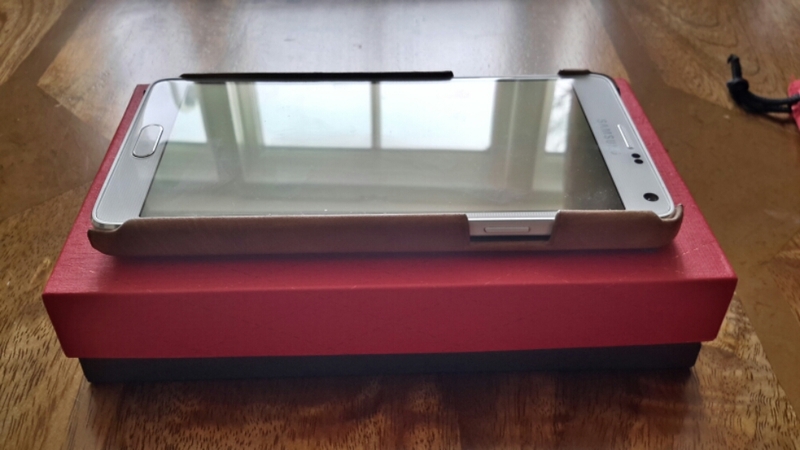 You can order off the shelf, decide between different design options eg flip, book or other. I quite like the above style. Instead of the standard black, I went for the exclusion leather in sable vintage. This adds about 10 euros to the cost. There are a choice of leathers, colours and other options from adding a belt clip. The most expensive leather adds 100 euros. 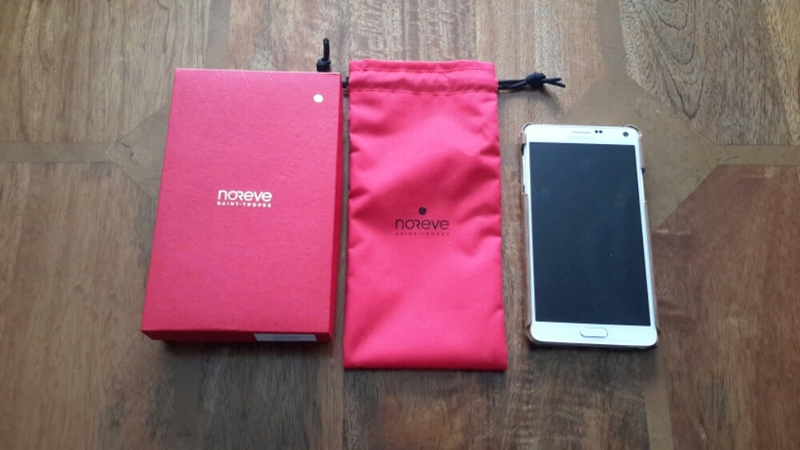 The case comes in a pouch that’s then inside the red box. All very pretty but what counts is the case. The leather is awesome. With age it will look better but it is meant to mark with ease. But as you can see the power and volume buttons are not covered. I prefer this arrangement as when covered you have more chances of pressing the buttons by accident. The only concern I have is the exposed topside bottom corners. 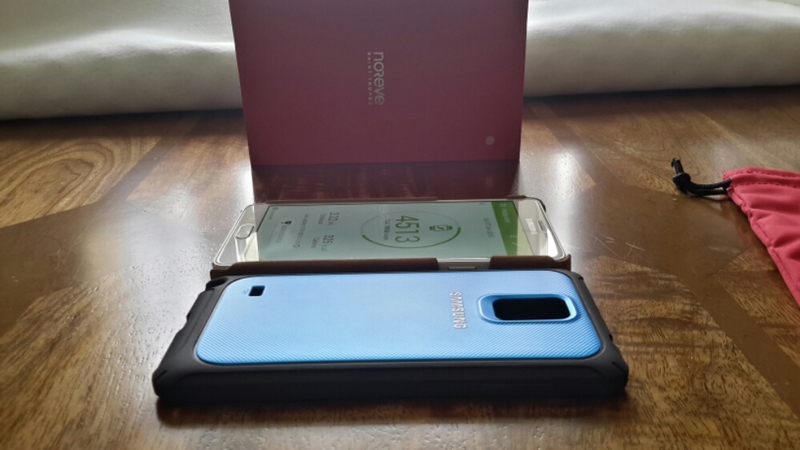 It is also thicker than Samsung’s own protective hard case. Some of you may prefer the Samsung type of case. I personally like the Noreve and the vintage leather.